Many companies struggle with managing numerous suppliers whilst receiving unpredictable results. We offer a reliable and consistent procurement environment with MyAcopia. 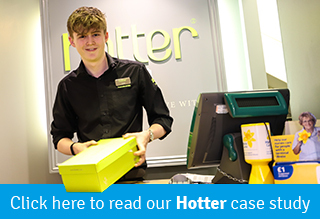 Take a look at what we did for Hotter Comfort Shoes and their 80 high street shops! "I can now do 3 months ordering in just 20 minutes"